Shigeru Miyamoto once revealed that he draws inspiration for his games from whatever he’s into. For instance, he created The Legend of Zelda based on his childhood memories of exploring the Kyoto countryside, and his passion to recreate the sense of awe he felt resonated with gamers throughout the world. 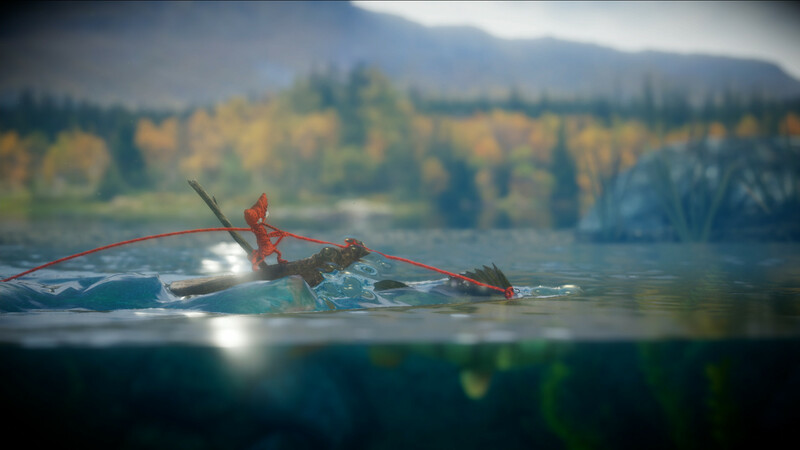 Coldwood studios’ Unravel will probably not reach the level of popularity that the Zelda franchise has earned, but the team certainly exhibits a passion similar to Miyamoto’s. As discussed in Microsoft’s press conference, Coldwood designed Unravel to capture the essence of the Swedish countryside. 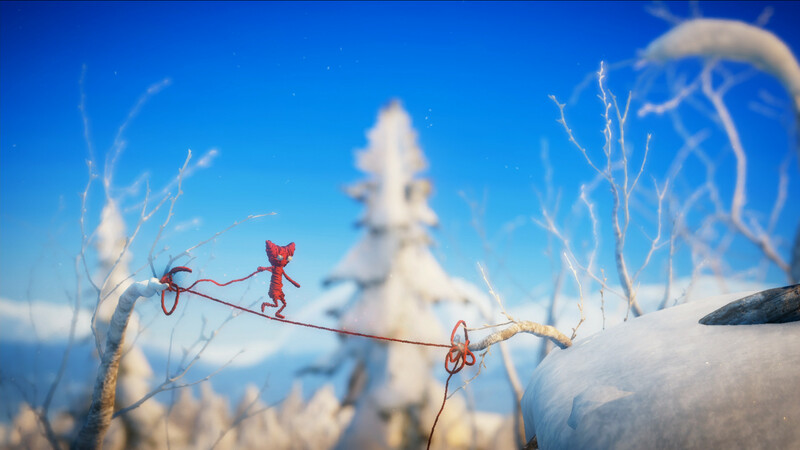 The developers created a doll, which practically serves as concept art for the protagonist–using the red yarn they had on them, and they took thousands of photos of the countryside. These photos are the blueprints for the level design, somehow striking a balance between traditional platforming and a recreation of the team’s backyards. The result feels like a piece of art. Unravel is a story about love and connection, and tying these themes to the rustic, countryside levels is the anthropomorphic wool of yarn named Yarnie. While Yarnie’s magical origins are unknown, we do know that he is a naturally helpful fellow. An elderly woman occupies a cottage, which serves as the game’s starting point, and while she keeps her mind sharp through knitting, she clearly misses her family, as shown while she’s examining old photographs. Sensing an opportunity, Yarnie rolls out of basket and rushes out the door to provide a guideline, so to speak, for the old woman’s family to follow. Yarnie appears to have unlimited energy until he reaches the end of his yarn. At this point, players learn that Yarnie has visible limitations, and once they see him tugging on his rope, eerily resembling someone who is suffering from starvation, they must guide him to the nearest spool of yarn. From there Yarnie ties a knot to the last piece of yarn he occupied, and continues on his way. The spools of yarn also provide Yarnie the means for solving his obstacles. Yarnie can simply jump over certain objects as in most platformers; however, more often than not, he’ll need to lasso onto the nearest tree branch. Yarnie can also tie knots in between two notches, allowing him to create a makeshift trampoline. He can also use this technique to create a bridge; for instance, he needed a bridge to push apples onto a higher ledge. Speaking of apples, objects can also be used to solve puzzles, as the countryside sometimes has small ravines (well, large ravines to Yarnie) full of water that are too big for his lasso. Players need to be wary of how they approach a problem, as they only have a limited amount of yarn before Yarnie runs out of walking space. The only issue with the current build is that jumping while swinging is tricky to figure out, but Yarnie’s limitations and abilities provide a wonderful workout for the brain. Behind its cheery, sunny atmosphere, Unraveled occasionally hints at darker themes. Yarnie occasionally triggers memories–whether they belong to him or the elderly woman is unclear–that are enormous and purposefully vague. One memory depicted the outline of an elderly man who was possibly the woman’s husband; another showed a violent image of a man being dragged by a mob. Yarnie appears frightened during darker moments, such as narrowly avoiding a monstrously loud car, and will most likely have to deal with its own loneliness. Coldwood hints at a strong story that won’t require cutscenes; the team intricately weaves the plot into the gameplay. Much like how Yarnie serves as the bridge between the old woman and her family, the character also connects players to a fascinating world that captures the essence of the artits’ home. Players may find themselves unable to untangle the knots connecting them to Unravel when it launches in the near future for PS4 and Xbox One.